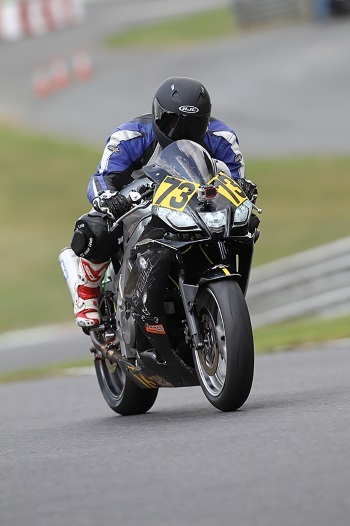 I attended the BEMSEE round 7 back in Kent at the Brands Hatch GP circuit. This is only my fourth meet of 2015 which surprised me when I worked it out. I was looking forward to this meet and had spent a track day at brands on the gp circuit a week earlier. This was the first BEMSEE meet I had attended in 2015 that did not have any rain. The weather was out of this world. Wall to wall sunshine for the whole weekend. Race 1 went really well but I was unable to be ruthless and force passes. I got caught up behind a couple of guys for four or so laps and couldn’t get past. Two corners from the flag I got the run on 30th place I pulled along side him into the last corner and should of let the brake off but instead I did the gentleman thing, that no-one does when racing, and I let him take the corner. I eventually finished in 31st with a fastest time of 1:45.701 0.2 seconds behind 30th and 0.4 seconds behind 29th. My last lap was my fastest and was 0.6 seconds faster than the two guys I was chasing. Race 2 was just as much fun but again I got stuck behind some riders and came home in 29th. My fastest time in this race was 1:46.900 and I set this on the penultimate lap. Sunday’s race 1 was again set under a blue sky, not a single cloud to be seen. I started the race in 29th and finished in 31st. I lost so many places off the start and through turn 1 and I had no chance of recovering them. I knew what I had done straight away so decided I would not let it happen in race 2. I finished the race with a fastest time of 1:47.235 again set on the penultimate lap. After I had a word with myself I set off for race 2. I started in 31st and told myself I wasnt going to brake into turn one. I didn’t I rolled off and tipped in and it worked. As I came out of the first corner and made my way up to druids I was right in the pack. I attacked every corner and braked later and harder than I had all weekend. I finished the race in 27th with a fastest time of 1:45.560.